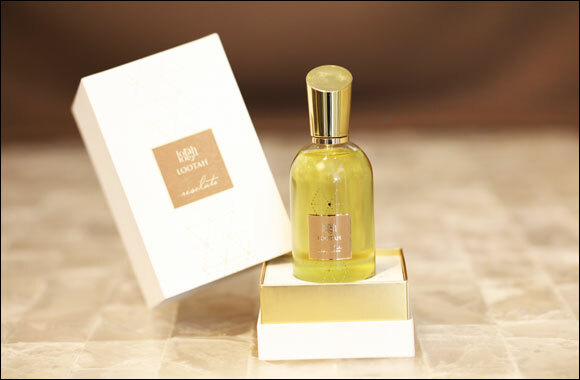 Dubai, UAE, May 14, 2018: LOOTAH, creators of fine Oriental and French heritage-inspired contemporary perfumes, incenses, oud, luxury perfumed blended oils and agarwood, have launched four exquisite new fragrances to celebrate springtime. Celebrating femininity, the new floral fragrance for women ‘Flair’ is energetic and lively with a burst of jasmine. Refreshing top notes of Bergamot, Jasmine, Sambac and Iris instantly make the wearer feel vibrant. Breathtaking middle notes of Tuberose, Vanilla and White Flowers surround the wearer in a cloud of freshest flowers, while powerful base notes of Patchouli, White Musk and Amber heighten the floral character of the fragrance. ‘Lucent’ is a decadent, oriental and spicy aroma for Him and Her encompassing a unique blend that makes the wearer stand out from the crowd. Top notes of Citrus, Cardamom and Black Pepper create a mysterious effect, while middle notes of Ginger, Lavender, Saffron and Musk add a touch of playfulness to the fragrance. Base notes of Leather, Amber Wood and Luban accentuate its masculinity to produce an exquisite effect. ‘Resolute’, an unforgettable fragrance for Him is leathery, woody and citrusy. This fragrance is for the determined and confident personality. Top notes of Bergamot and Sandal combine with middle notes of Cardamom and Violet Leaf to produce a powerful effect. Base notes of Cedar Wood and Amber enhance the decadent quality of the perfume, making the wearer feel truly invincible. ‘Immerse Oud’ for Him and Her is citrusy, woody and floral. The fragrance may surprise the wearer with middle notes of Peachtree Flower and Precious Wood, which are captivating. Top notes of Neroli and Grapefruit blend with base notes of Amber, Jasmine and Oud to create a distinctly feminine fragrance that represents a strong, woman governed by emotions. All four fragrances are available across LOOTAH’s stores in 100 ml bottles priced at AED350 inclusive VAT. As a leading heritage perfumery in the UAE, LOOTAH is rooted in the tradition and the knowledge of generations and produces contemporary fragrances that can satisfy even the most demanding consumers. LOOTAH also produce exquisite incenses and fragrant oud, keeping the age-old tradition of crafting the unique product alive.